I grew up in Massachusetts and am visiting now for a couple weeks and I can't imagine leaving. This kitchen is so impressive. How exciting!!!! 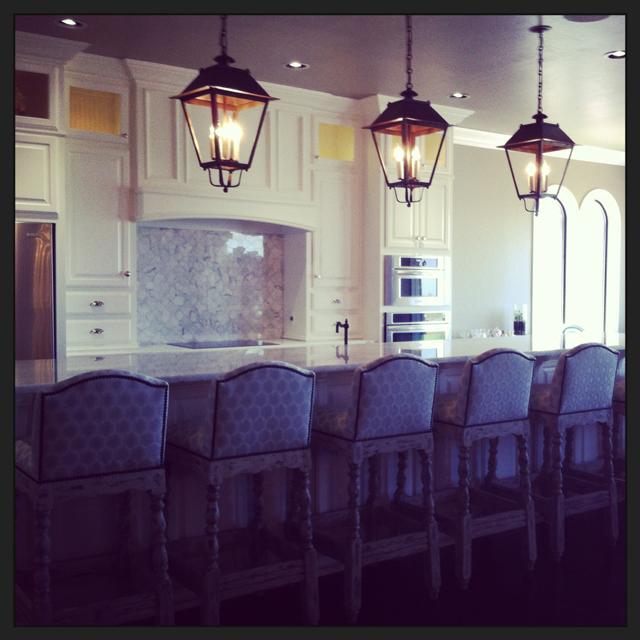 Love those lanterns and that quartzite and the huge chandelier. It's gonna look fabulous, can't wait to see it. The barstools are amazing! Great job sweetie. Nantucket is fabulous! I grew up in Rhode Island and just love the northeast so much! Love the lanterns and the fabric on the bar stools! Gorgeous. OMG these updates are absolutely gorgeous. I am blown away! Gorgeous Sam! Loving this kitchen. What a gorgeous kitchen!!!!! 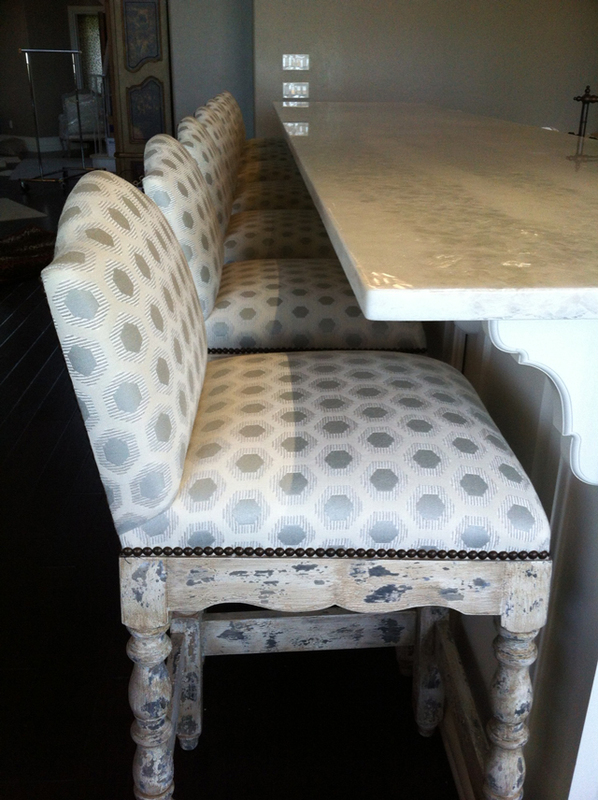 Love those barstools too, classy!!!! looking so amazing so far! that wallpaper is killer! 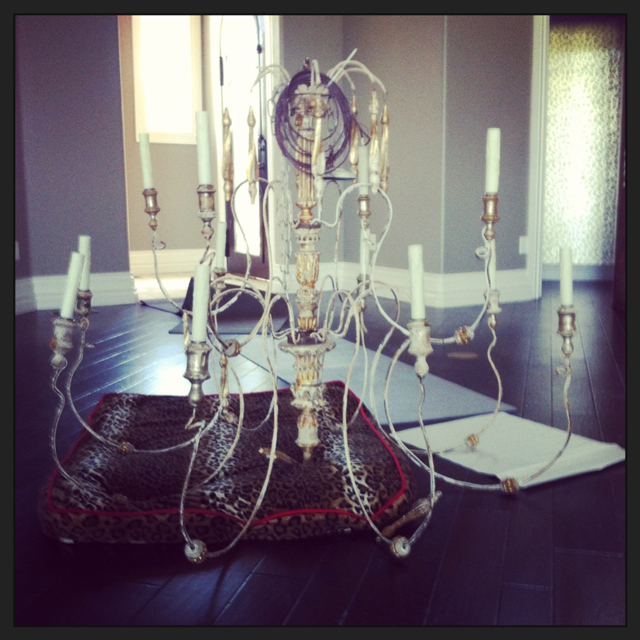 Those stools are beautiful and the chandelier is AMAZING!! Dream kitchen. Doesn't get much better than that!! Love the lanterns! Definitely a great kitchen to entertain it, and yes its the greatest when you finally see your projects come to life. Good luck with the rest!